Water deficiency is a critical factor limiting crop productivity worldwide. This makes understanding how plants can use water efficiently a prime scientific challenge. 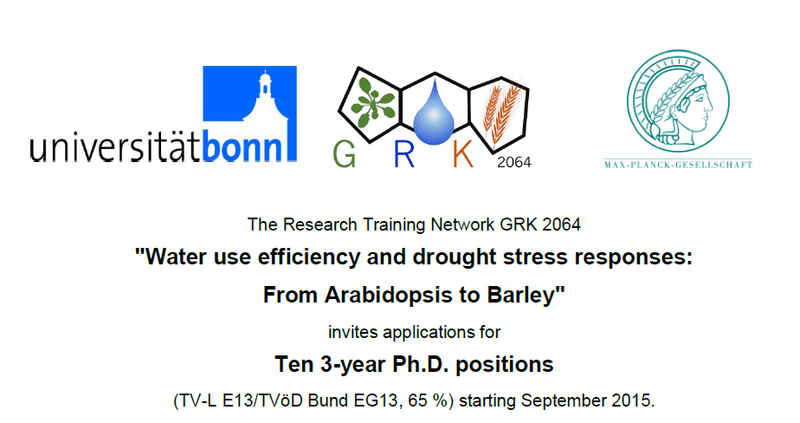 The newly established and DFG-funded Research Training Network GRK 2064 focuses on the investigation of factors contributing to drought tolerance in the plant model Arabidopsis thaliana and the crop barley (Hordeum vulgare). The Research Training Network GRK 2064 is an initiative by the University of Bonn in collaboration with two research groups at the Max Planck Institute (MPI) of Plant Breeding Research in Cologne. The PhD students will participate in interdisciplinary research projects with international cooperation and networking opportunities. 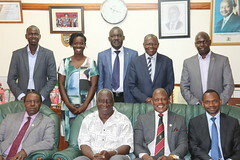 The research will be accompanied by a teaching program in molecular plant sciences, genetics, biochemistry and bioinformatics. The place of employment is Bonn or Cologne, depending on the chosen project. GRK2064-PhD_Positions-20151.